The families of seamen lost when their cargo ship sank off the Caithness coast will visit the area of the tragedy this weekend. 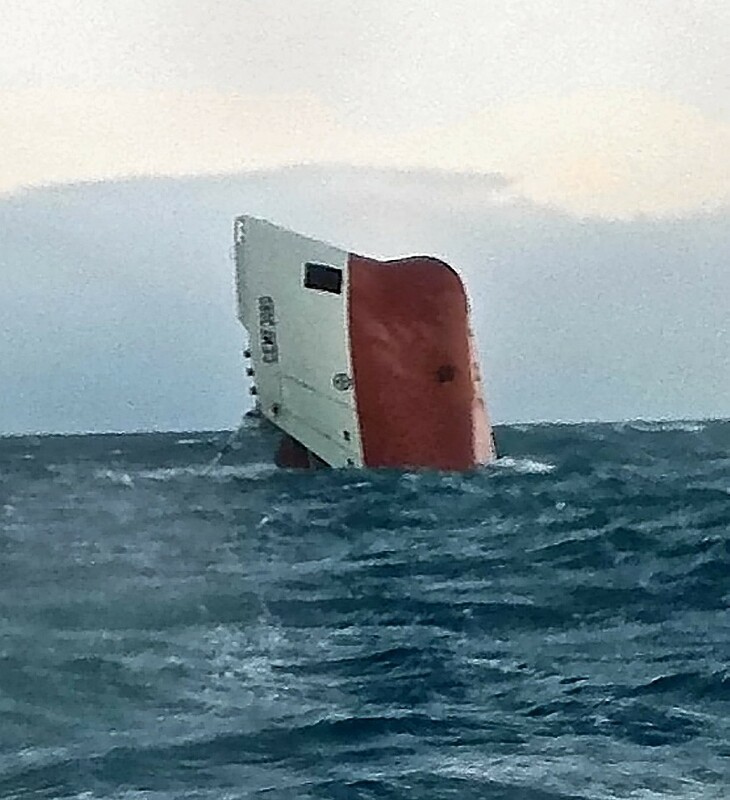 Relatives of the seven Polish crew were due to be taken out by boat to the area in the Pentland Firth where the Cemfjord sank in January last night to lay wreaths on the sea. The party of more than 30 relatives have travelled from Europe for the first visit since the tragedy. However their journey was delayed after thick fog closed Wick Airport. The group landed in Inverness and travelled north by coach. No bodies have ever been recovered from the wreck. The Cemfjord itself will not be raised and is to be left as a sea grave. The trip was organised by the ship’s owners Brise of Hamburg. Company spokesman Tony Redding said: “It is extremely important to them to visit the area, it is an emotional occasion. The relatives are due also to visit Duncansby Head today, the nearest land to the sinking site east of the Pentland Skerries, for a private service. A public memorial service will also be held at St Joachim’s Church in Wick this morning. Cemfjord, a bulk cement carrier, was last recorded travelling west through the Pentland Firth on the afternoon of Friday, January 2. Its upturned hull was tragically discovered by a Northlink Ferry the following day. Mysteriously, electronic devices that should have alerted the coastguard to the sinking did not activate and no distress signal was ever received from the vessel. The crew were the master Pawel Chruscinski, 43, chief officer Jaroslaw Orlov, 45, chief engineer Roman Tamas, 56, and seamen Henryk Dubanowski, 55, Tomasz Kwiatkowski, 31, Artur Podrazka, 24, and Artur Wegorek, also 24, all from Poland. The eighth member of the crew was Filipino seaman, Jerome Narvasa, 32.